Network File System (NFS) is a distributed filesystem protocol that is commonly used to share files over the network. It enables users to mount remote directories on their servers and access the remote files in the same way local storage is accessed. 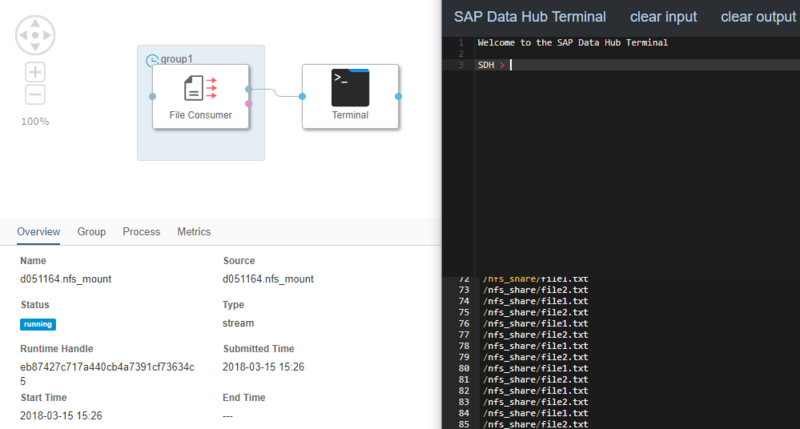 This tutorial explains how to access data stored on an NFS share from within SAP Data Hub Pipelines (on-premise). in all the commands. 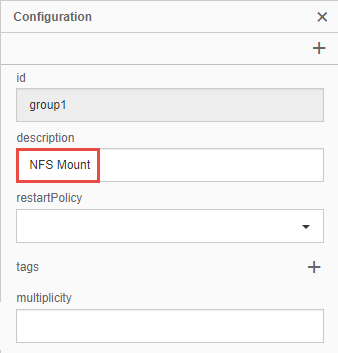 Please make sure, that you replace the hostname and the remote directory with your NFS settings accordingly. 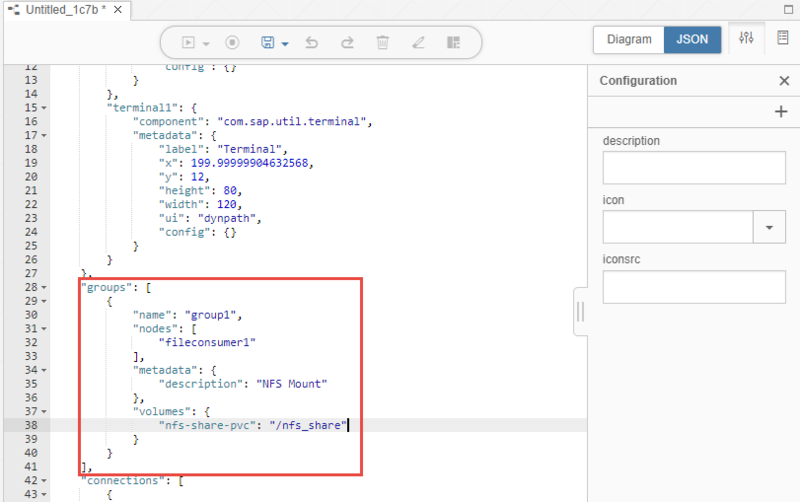 During runtime, the SAP Data Hub Pipeline runs Pipeline Operators as processes in Pods (groups of one or more containers) in the Kubernetes cluster. 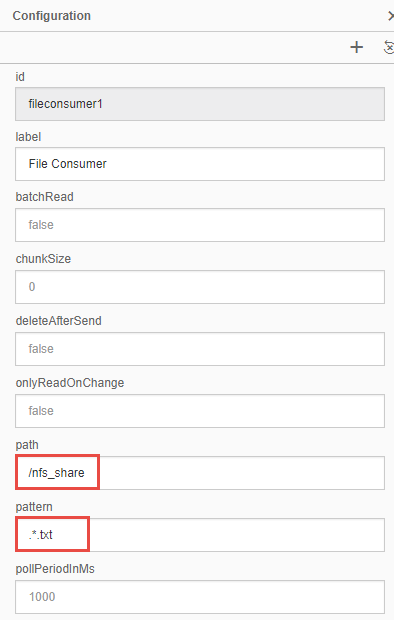 That means, to access data that is stored on an NFS share from within an Operator, the NFS share must be mounted in the corresponding Pod. A PersistentVolumeClaim (PVC) (https://kubernetes.io/docs/concepts/storage/persistent-volumes/#persistentvolumeclaims) is a request for storage by a user. The Claim can request a specific volume size and access modes and based on these two attributes, a PVC is bound to a single PV. When a PV is bound to a PVC, that PV cannot be bound to another PVC. However, multiple Pods can use the same PVC. 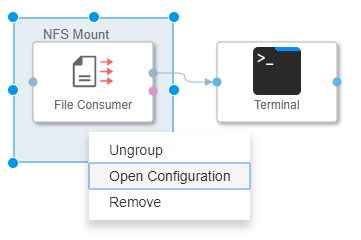 This is exactly what is happening when executing an SAP Data Hub Pipeline with an Operator Group that has a Volume mount point specified. 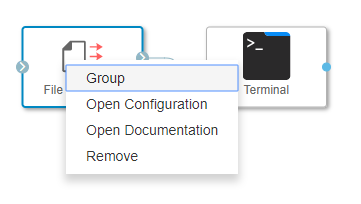 Switch back to the Diagram View and then Save and Execute the Graph. 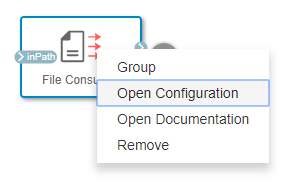 In the File Consumer configuration, how to read the file from the local host, I mean wherever Data hub is installed? when Data Hub is running in cluster mode (is installed on Kubernetes), the path is always local to the Pod / Container where the Operator is running. In order to access files from the local host, you have to create a local persistent volume (https://kubernetes.io/blog/2018/04/13/local-persistent-volumes-beta/) instead of an NFS volume and then follow the same steps described in this post.